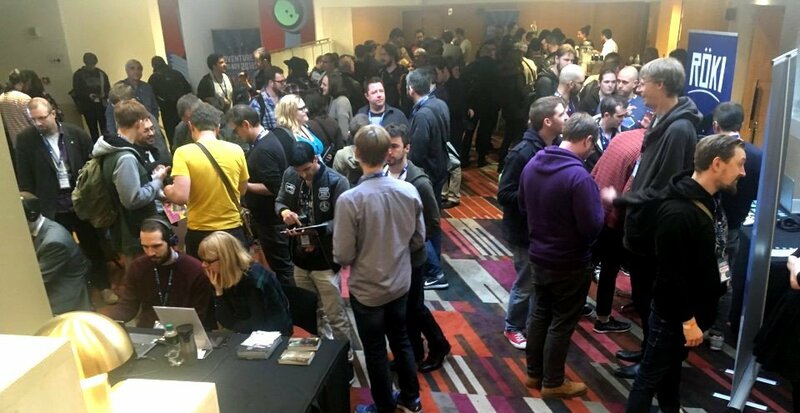 By now you've seen the first and second parts of our extensive AdventureX coverage. Now read on for the final installment of our two-day, twenty-game whirlwind report! Based on events in the former Czechoslovakia, this game describes itself as ‘A World War II game through the eyes of survivors’. Using historical information, footage and testimony from those who lived through this time, Attentat 1942 tells the story of living through the Nazi occupation from the perspective of the ordinary people who suffered through it. Originally conceived as an educational tool for Czech high schools (then called Československo 38-89: Atentát) and put together by teams from Charles University and the Czech Academy of Sciences, the reception gained from schools and students alike was so positive that the project was converted to a proper game and widely released in October 2017 under the current title. Visually the game is striking. Everything from the historical film footage, to the FMV of actors you converse with, to the comic book interactive sequences, to the part-photo-part-hand-drawn recreations of places from 1942 Czechoslovakia, the setting is made to feel as real as the subject matter needs it to be. The story and characters, while fictional as presented, are based heavily on authentic historical events, interviews and evidence from the time. Assuming the role of an unseen protagonist, you start by discovering that your grandfather was arrested by the Gestapo shortly after the assassination of Reinhard Heydrich, ruler of the Nazi-occupied Czech lands and leading architect of the Holocaust. You must discover why he was arrested and whether he did, in fact, have anything to do with this attack. Soon focus begins switching between the present day, investigating and questioning witnesses, and the past as experienced by characters from the story, including your own grandparents, re-enacting actions taken and re-living situations that occurred decades earlier. In terms of gameplay, Attentat 1942 is dialogue-based and you will question people, examine possessions and items from the period, re-create moments of drama as seen by the survivors through interactive comics, and perform context-specific interactions related to the story and based on accurate reports of actions people actually took back then. For instance, early on you must play as your grandfather to stall the Gestapo as they knock at the door while your grandmother hides incriminating leaflets around the home, then later tidy up and check over the home after the Gestapo have turned the place over and left. One of the most impressive features of this game, which was made by a core team of six people, is the potency of the premise when backed up by the legitimate historical records available to the developers during the process. There have been many attempts at ‘edutainment’ games over the years, but despite the factual nature of the project, this is not a label that the group are necessarily looking to associate with the game. 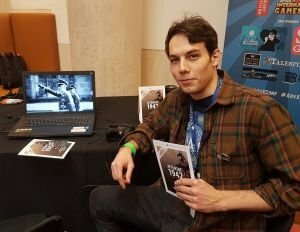 While you can’t help but learn about a dark time in history, there is enough ‘game’ here to entertain as well, and the developers have a string of awards both in the Czech Republic and internationally to show for it. To learn more about Attentat 1942, the game’s official website has additional information. 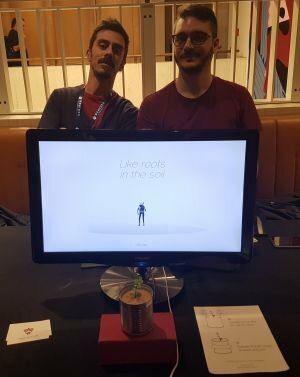 Perhaps one of the most graphically stunning games on display at AdventureX, A Light in Chorus, is a first-person adventure in which everything is made up entirely of particles. Intriguing and beautiful as the visuals are, the game’s premise and mechanics seem able to match it. A man-made craft has been created and sent out into deep space, packed with information about sights and sounds from Earth in the hope that a technologically advanced civilization will come across it and be able to discover information about the planet. But how will that other civilization conceive, see or experience things we take for granted? Clearly a copy of the Wikipedia page for ‘Earth’ and a couple of Polaroids aren’t going to do the job here. You play as a member of the alien civilization that comes across the craft and must reconstruct images, sounds and ideas, represented as symbols in-game. Exploration is very much the key here. As you make your way around particle-based landscapes, both visual and audible clues lead you to discover new symbols – perhaps a deer, tree or lamppost that must be interacted with the correct way to ‘establish’ them as something known. These are then added to the environment around you and the picture starts to grow. The free-roaming 3D game is keyboard and mouse-controlled. Movement is simple, and when an interactive object is encountered there are various ways you can try to engage with it. The mechanics are initially rather alien – which is of course exactly the point. You must work out how to affect your surroundings to build up a clearer image of this strange planet ‘Earth’ and the weird things on it. There were various ways to sample the objects around me in the demo, including obvious senses like sight, sound and touch, but also inhaling, which adds an intriguing extra feature as well as reinforcing the otherworldly feel of the experience. Development of A Light in Chorus has been underway since 2013 by a two-man core team at Broken Fence Games, and the project continues to evolve in nature and scope. There is no launch date set at present, but the developers are hoping for a 2020 release. In the meantime, further information can be found on the game’s official website. Like Roots in the Soil is described by indie creators The Space Backyard as ‘…a short story about two guys walking towards a common destiny.’ In fact, it is two stories being told at the same time... or is that one story from two perspectives at the same time spanning different time periods? 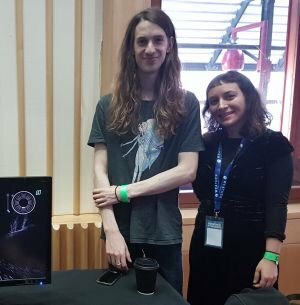 Either way, there is no shortage of ambition in this game, even if the constraints of the two-week Game Jam for which it was developed mean the finished product is very short, taking around five minutes to play to completion. Fitting into what some have called the ‘Walking Simulator’ genre (despite its third-person presentation), player interaction is very light, limited only to controlling the camera as the character(s) make their way through what appear to be a normal town and a ‘post-apocalyptic’ version of that town, dependent on your perspective. The environment is shifted by rotating the camera, which allows you to experience the journey from either character’s perspective, or even both simultaneously. The two different worlds exist on the left and right sides, split down the middle of the screen by default. However, what you see at any given time is dependent entirely on which direction you focus your attention, so when you pan the camera to one side, more of that perspective is shown while the other diminishes, and vice versa on the other side. The game’s simple yet striking 3D graphics (rather reminiscent of Kentucky Route Zero) and atmospheric soundtrack create a surprising and thoughtful experience, culminating in a twist at the end of the tale. Although mouse-controlled, the game was exhibited with rather a novel controller, fashioned as a small green plant shoot in a tin can which could be turned to rotate the view on-screen. The world of custom controllers seems rather a long way from adventure or narrative games but this was an eye-catching and nice touch, linking very nicely into both the underlying theme and gameplay (such as it is). More details and download links can be found on the developer’s itch.io website, where the game is available to download free for Windows and Mac.